The indignity of being herded did not at all appeal to lamb. She simply was not dressed for the sport. 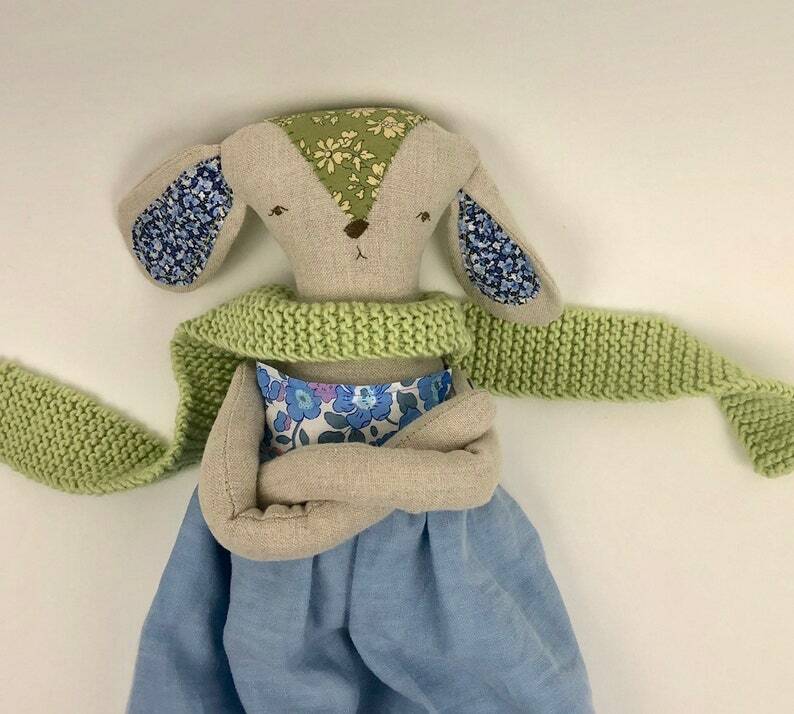 Lamb is made from reclaimed linen fabrics, with hand embroidered facial features and button jointed arms. A soft woolen scarf completes this springtime outfit. Measures 19” tall.